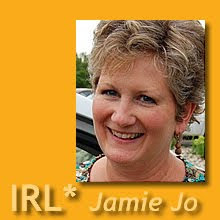 IRL*in real life with Jamie Jo: What's Your Favorite American Idol? Thank you so much for this post! I recently returned from a hospital stay with my 3 year old son, and while I live in Japan, let me just say that it was awful. I have questioned whether this entire thing was worth anything, or just irresponsible parenting. Your blog reminded me that His gospel IS worth it, no matter the cost. Thank you. Even though I don't have ministry as a reason for our international move, this one is so applicable to me as well. We have now had dengue, trusted bug spray to protect us from malaria, had no idea that meds were recalled in the US (meds we have in our cabinet....), and weigh medical appts against language difficulty before deciding to go in or treat at home. We have a carseat in the donate pile, because we just don't use it here. Meanwhile I had to look up the rules in TX to see which of our kids need one there. We've learned to do without and adapt to what's available rather than haul over containers full of various food items. And yet, we're planning to bring back double the luggage when we return from our next trip. Oops. Beauty, that's another one, and in reading the verses you've posted I'm wondering if my "dress like the natives" attitude might or might not fall into that category of sacred stones I need to smash. Hmmm. Ouch. Very good post, JJ. Very good. Even the parts that hurt. I think health and safety are big ones. When I think of a friend who lost her son to cerebral malaria in the time it took to fly to France from Africa, that's how I define sacrifice. I can't imagine what she went through. Any hospital stay overseas reminds us of what security we left behind. Yes, it's good to ponder. Your writings have been such an encouragement to me. Thank you for your prayers and encouragement. May we all remember where our citizenship really is. Maybe we have joy and gratitude, yet not dependency on anything in this world. Praying that the Lord continues to speak to you as you share with all of us. Great post Jamie! I am dealing with major idolatry pains right now. With our trip out in August so close, I would LOVE to ditch all activities here and leave early! It seems like with each new year on the field, going back to the States looks more and more atractive... Thanks for reminding me of the bigger picture! I gotta remember it's NOT about me!!! Good to hear from everyone. Looks like I've struck a chord. Ooh, food. That wasn't on my short list, but probably belongs there. The stomach sort of travels with me, so I didn't think of it being a unique "American" idol. I'll keep an eye out for that one, too. This is a great post Jamie - thanks. I really resonated with it even though my situation is so different from a lot of yours. We live in a major city in Southeast Asia and honestly have quite the western lifestyle that's been imported by the asians. I've never seen so many malls or American restaurants. Medical tourism is one of their specialties and our doctor trained in Europe and goes to our church. We worship in English ad most of our interaction is in English. However, safety is a big one for me - watching the families of 3, 4 and 5 on a motorcycle whizzing through traffic with no helmet gives me the shivers. The seasons are my idol - I want Fall! I want Winter! I want Spring! Friendship is another - friendships seems so much less complicated in the US especially work relationships. Definitely time management. Why does it take so long to get from point A to point B and why am I suddenly in need of house help after years of keeping my own house? How do we balance the passage from Exodus that you quoted with Jeremiah 29 which tells us to: "Build houses and settle down; plant gardens and eat what they produce. Marry and have sons and daughters; find wives for your sons and give your daughters in marriage, so that they too may have sons and daughters. Increase in number there; do not decrease. Also, seek the peace and prosperity of the city to which I have carried you into exile. Pray to the LORD for it, because if it prospers, you too will prosper." Settling down where God has planted us and yet not succumbing to the idols of the land (and of our hearts) is a daily struggle. Thank you Jamie Jo for reminding us of our need to daily look to Him and to be thankful for where he has planted us.